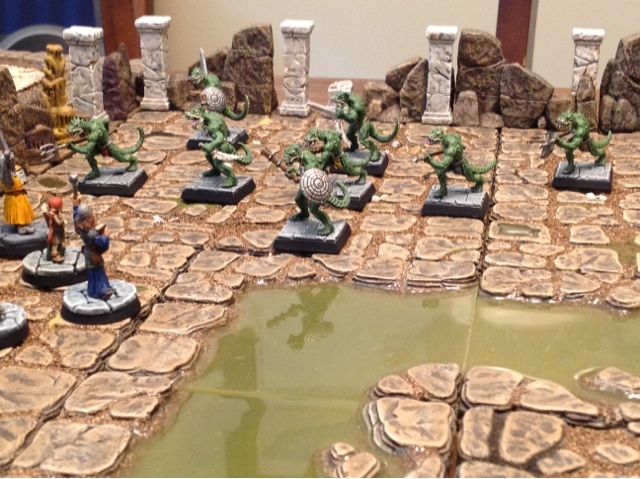 Behold - The Sunken City of the Lizardmen! Love those otherworld lizard men. Do the come on square bases or can you put them on round ones? WOW! Amazing!! 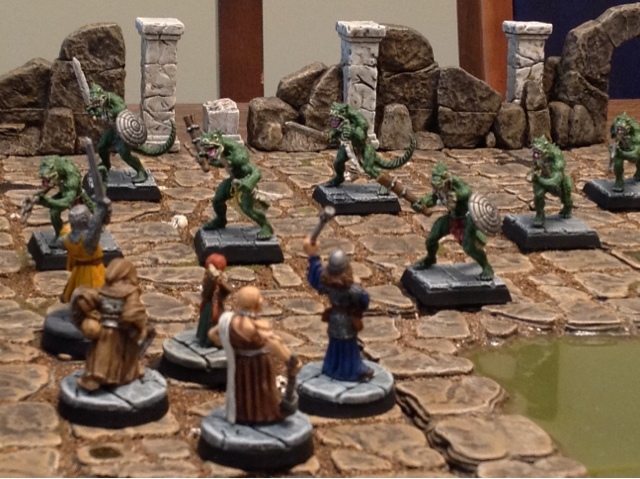 Most of the Otherworld minis come with round bases, but you can mount them any type. I put my Gnolls on hex bases. As much as I love OW minis they bug me periodically with minis that push the need or a 30mm base, which is completely useless to me. The lizardmen need to be turned slightly to fit on a 25mm square base. Well, I agree with what you wrote, but not with all of it. Regardless, its all good material. Thanks! This was the best part of the shoot that I attended.